From TDP's shifting stands to TRS's one-point agenda,a look at where parties stand. The decision by the Congress leadership has split the party three ways in the state. There are those who are bitterly opposed to the bifurcation; those who oppose it,but want to abide by the partys decision; and those who prefer to watch from the sidelines as the drama unfolds. Chief Minister N Kiran Kumar Reddy was the first to revolt,and went to the extent of saying that the CWC decision was a big mistake. His senior Cabinet colleagues Anam Ramanarayana Reddy and Botsa Satyanarayana,who is also the PCC chief,however,feel that the CM has overstepped his brief,and would like him to abide by the partys decision. 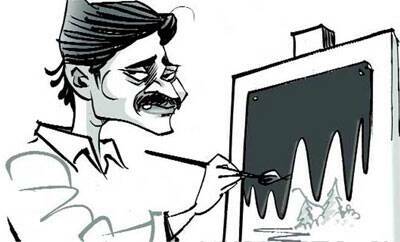 As the CM remains isolated,the Congress has no leader of real stature and appeal across Seemandhra. Six Union ministers from Seemandhra have resigned in protest,but this is widely suspected to be grandstanding targeted at supporters. MPs Lagadapati Rajagopal and Rayapati Sambasiva Rao made noises initially,but are quiet now. 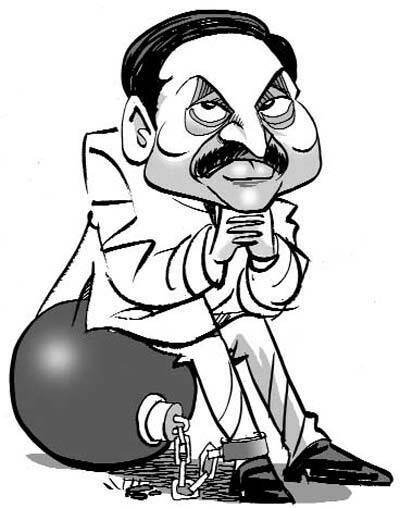 Naidu has changed his stand on Telangana several times. In October 2008,the TDP politburo supported the demand for a separate state,but at the height of the Telangana agitation in 2009,Naidu said that while he understood the feelings of the people,he believed that Andhra Pradesh should remain united. As the agitation intensified,and under pressure from Telangana leaders in his party,Naidu switched again,and said that he would not oppose a separate state. As the Congress set the ball rolling on creating Telangana,Naidu sent a letter to Union Home Minister Sushil Kumar Shinde supporting the move. However,as the anti-bifurcation voices grew louder,Naidu pulled himself on to the fence,neither opposing nor supporting either side. He welcomed the July 30 decision of the Congress Working Committee (CWC),but asked the Centre to ensure that both states progress,including giving grants and funds to Andhra to establish a capital city like Hyderabad. 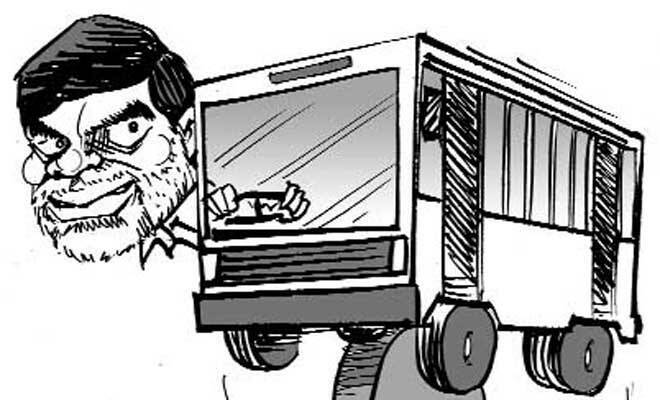 But as a massive backlash and agitation started in Seemandhra,Naidu did another volte face. On his bus yatra,Naidu told people that it was he who had stopped the NDA government from bifurcating the state. He has been on an indefinite fast in Delhi since Monday to oppose the bifurcation of state. TRS has been spearheading the agitation for a separate state since 2001,when KCR founded the party. KCR says his partys ultimate goal is to achieve Telangana,and that until all formalities and processes are complete and Telangana comes into existence as Indias 29th state,he will neither rest nor merge his party with the Congress. TRSs stand on Hyderabad too is firm. We understand that establishing a new capital city for the rest of Andhra state is not easy and takes time. That is why we agreed to have Hyderabad as joint capital. 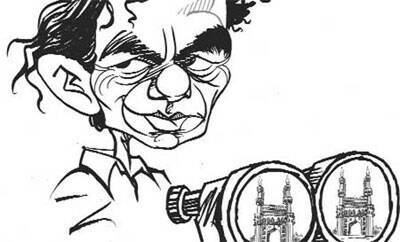 Ultimately,Hyderabad will be capital of Telangana only, KCR has said. During his 16 months in jail,Jagan Mohan Reddy could not spell out his stand on Telangana. However,when it became evident that the Congress was serious about creating Telangana,Jagans mother Y S Vijayalakshmi and sister Y S Sharmila issued statements saying they favoured a united Andhra but also respected the aspirations of the people of Telangana  and they would,therefore,have no objection to the new state. However,on July 18,as indications came from Delhi that the CWC might endorse statehood for Telangana at its July 30 meeting,all YSR Congress MLAs resigned in protest. YSRCP maintains that it is not against the people of Telangana,but that the division is unfair for Seemandhra. A day after he was released on bail on September 23,Jagan launched a scathing attack on the Congress,saying it was disregarding the opinion of the people and imposing an arbitrary decision on the state. He also warned that bifurcation would lead to water riots. The Centre has hoodwinked all good democratic practices and has gone ahead with its agenda of dividing the state for the sake of a few votes and seats and has taken the people for granted, Jagan has said. He has been on an indefinite fast since Saturday to protest the bifurcation. BJP leaders led by state unit president G Kishan Reddy have always supported Telangana as the party is in favour of smaller states. The BJP is eyeing the political space that would be created in Telangana as the TRS is expected to lose its prominence once the state comes into being. The BJP calculates that once that happens,the TDP,which would be seen as an Andhra party,too would lose ground. 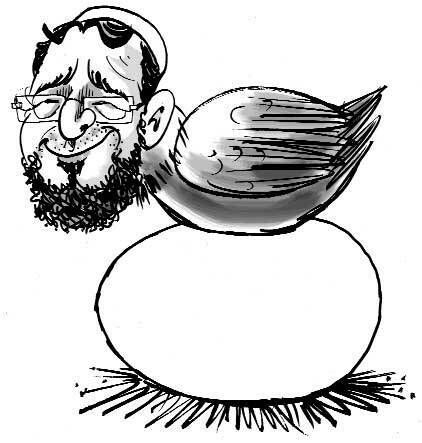 Majlis,led by Hyderabad MP Asaduddin Owaisi,is in principle opposed to breaking up the state,and said so before the Srikrishna Commission. But in case bifurcation is inevitable,it is open to exploring the possibility of creating a Rayala-Telangana. After the CWC endorsed Telangana on July 30,the party said it accepted the decision,but felt that it would greatly benefit the BJP which would communalise politics in Telangana.